In March 2018, Angela Merkel was re-elected as chancellor of a renewed 'grand coalition' of Conservatives (CDU/CSU) and Social Democrats (SPD). This followed the longest government building process in modern Germany. During their negotiations, the coalition’s agreement set out plans to fix state pensions at 48% of average salaries by 2025, with contributions capped at 20% of gross pay. If necessary the parties said they would resort to taxes to help fund this cap. The government will change the formula used to calculate pensions in order to secure the 48% level, it said. The government also suggested plans for improving pension communication by providing an overview of an individual’s pension situation, pulling in information from all three of the country’s pensions pillars. On 1 January 2018, ‘The Act to Strengthen Company Pensions’ came into force in Germany. The act introduces pure DC schemes, which changes the country’s system of occupational pension schemes. 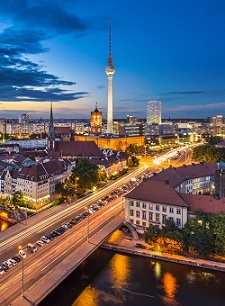 Lawmakers hope this will bring the German market closer to successful DC schemes seen in other European countries. R+V and Union Investment were the first two German firms to present their vehicles for putting DC plans into place in March 2018. The new DC plans will sit alongside existing traditional DB and hybrid plan designs that have been around in Germany since 2000. Germany operates a three-pillar pension system, comprised of the mandatory state pension, occupational pensions and private pensions. They system is grounded in its strong public pension pillar. In the past, individuals relied predominantly on pension benefits provided by the statutory pension insurance. But with the German demographic changing towards an aging population, many pensioners now approach their retirement planning more diversely and where possible, build upon all three pillars at once. The German first pillar is a mandatory state pension system that covers almost all employees. The system is financed through contributions of employees and employers, which finance current pensioners. The contribution rate is equally shared between the employee and the employer with a current annual contribution assessment ceiling of €5,950 per month for old federal states and €5,000 in new federal states, as of 2017. The legal retirement age is 65 for both men and women but is scheduled to rise to 67 years over a transition period from 2012 to 2029. People who have paid into the Statutory Pension Insurance for 35 years may retire at age 63 but will be deducted the months of work they would have still needed to work until the age of 65 (or 67 if you were born after 1963). Each missing year results in a 3.6% reduction in the pension entitlement. In a worst case scenario (retiring 48 months before the retiring age), this would mean a deduction of 14.4% to the pension entitlement. A total of 18m employees were active members of an occupational pension scheme by the end of 2015. This is just under 60% of people who are employed and subject to social insurance contributions in the country. While this number has risen by nearly a third % since 2001, the increase in coverage has slowed in recent years. In addition to the plans for DC schemes announced under Germany’s Act to Strengthen Company Pensions’ in January 2018, employers can also choose between two different funding methods for occupational pensions schemes. These two methods are direct pension promises, and external pension providers. In this scheme, the employer usually pays pension benefits directly to the employee without using an external pension vehicle. The employer gives a promise to the employee to pay him an agreed amount once he retires. The 4% tax-deductible contribution limit which applies to the external pension vehicles ('Pensionskasse', pension fund, direct insurance) does not apply to book-reserve accruals. The employer can deduct the complete annual pension scheme contributions to book reserves from taxable income. The contributions are not considered taxable income to the employee. Benefits are taxed as (deferred) salary when received. In recent years, larger German companies set up contractual trust agreements (CTAs) to fund their pension liabilities off the balance sheet. CTAs have been gaining popularity since they do not have restrictions regarding their asset allocation. There are several vehicles for external pension providers. This is an uncomplicated external pension provider, where the employer takes out a life insurance policy on behalf of the employee and pays contributions to the insurance company. The employee has a direct entitlement to the benefits accrued under the contract against the insurance company. Insurance companies are subject to supervision by the Federal Financial Supervisory Authority (Bafin). Strict quantitative investment regulations apply to direct insurance, e.g. the share invested in equity may not account for more than 35%. This also applies to the 'Pensionskasse' and direct insurance funding vehicles. The 'Pensionskasse' is the main pension vehicle for private employer-sponsored pension provision after the direct pension promise. The 'Pensionskassen' are independent insurance companies that serve one or several employers. The staff pension fund is comparable to the pension fund (see below), but it is governed by the Insurance Supervisory Act, similar to life insurance companies. Pension funds are separate legal entities that provide company pension schemes for one or several employers. Insurance law regulates them. Pension funds can be set up by a single company, a financial services provider or by an industry-wide pension scheme sponsored by the employers' association and the unions. Pension funds do not need to be 100% funded at all times. Pension funds will be allowed to have an under funding of up to 10%. In that case a recovery plan for a 10-year period is required. The same tax treatment applies as in the case of the 'Pensionskasse'. Support funds are separate legal entities set up as an association, less frequently as a limited liability company, or as a foundation. The employee has no legal claim against the support fund but only directly against the sponsoring employer. Support funds can either be sponsored by one single company or can be founded as a group support fund used by several companies. Contributions to support funds are tax-deductible without limit for both employer and employee contributions. Pension benefits are taxed as ordinary income. There are no restrictions regarding asset investments. The entire fund may even be lent back to the company at a market-related interest rate, which used to be common practice. The third pillar of the German pension system is made up of the private pension sector. This includes a varying range of individual pension investment plans, and they can be set up through banks and insurance providers to increase an individual’s total German pension entitlement when they reach pension age. Two of the biggest private German pension plans are the Riester and Rürup plans. These have certain tax and government subsidy benefits, which vary depending on which pension you invest in. The Riester Pension Plan is a life annuity plan subsidised up to an amount of 2,100€ annually. At least 4% of the person's income is put towards the pension plan, with the government subsidizing 154€ and an additional 185€ per 1 child (300€ if born after 2008), this pension vehicle is therefore suited towards low-income earners, who plan to benefit over a long period of time. The Riester Pension Plan comes in five investing varieties: classical, unit-linked, bank savings plan, and two kinds of building loan contracts (Wohn-Riester), the resulting Pension Benefit is 100% taxable. The Rürup pension plan is a life annuity plan that is more flexible than the Riester plan. This makes it more suited towards self-employed people and freelancers. The Rürup Pension plan comes in three investing varieties: classic, unit-linked and immediate annuity. During the contribution period, the contribution towards this form of pension plan is tax deductible. In 2017 the maximum tax deductible amount that could be invested in the scheme was 23,362€ per year for single people and 46,724€ per year for married couples. The savings can be divided freely between wife and husband. The amount of tax deductibility is rising by 2% year to year from 60% in 2005 for the first year. In 2017 84%, of the amount is tax deductible and it is scheduled to rise in 2% steps until 2025. When the person retires, a certain percentage of the pension entitlement is taxable. In 2016 this was 74%, but is scheduled to rise to in 2% steps until 2040. The taxable percentage is defined by the first year the person retires.